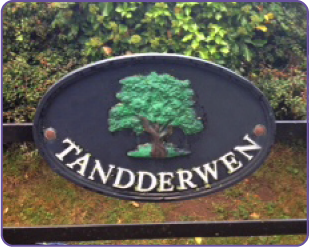 How to hire a harp from Telynau Tandderwen Harps is easy! Simply telephone or email for further details of the very competitive monthly rental fee which includes insurance. 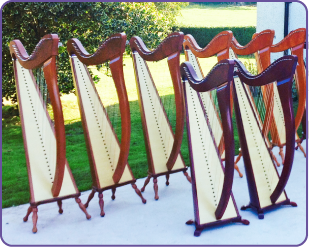 Should you wish to see the harps you are welcome to make an appointment any time. Should you decide to rent we will ask you to fill in a simple contract form providing us with a copy of your current passport or driver’s licence. You will then forward a £50.00 deposit and a month’s rent whilst setting up a monthly standing order. 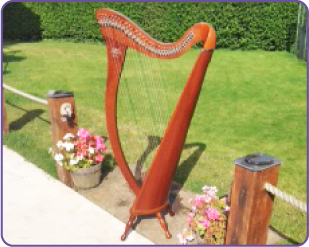 Each harp is provided with a dust cover, tuning key and we pride ourselves on our excellent customer care skills in ensuring we provide you with easy to follow maintenance instruction lesson for the harp.